Having enjoyed the Juniper Sawfeather Young Adult series by D.G. 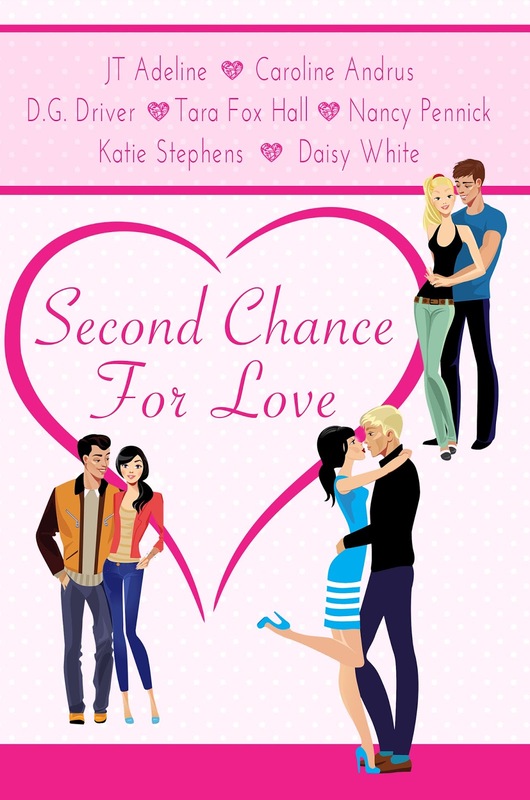 Driver, I was honored when she sent me a copy of Second Chance For Love, a new anthology of short stories written by her and six other authors. I'll admit I am not a huge fan of romance novels, but I do like short stories because they allow me to discover new authors and give me a taste of the writer's style, without any long-term commitment. Plus, short stories are perfect for those times (like this past summer was for me) when I don't have the time to dedicate to an entire novel. Paradoxically, my main reason for liking short stories (They can be read in one sitting.) is also a reason for me to dislike them. They all seem to end too abruptly. For the most part, however, the authors in this anthology do a good job of closing out their story without too much haste. Second Chance For Love is a compilation of shorts about finding love again after some type of loss: a break-up or death for instance. Naturally, I enjoyed and related to some characters and stories more than others, which is all part of the fun of reading such books. Some of the stories are told from the viewpoint of a single man and others from a single woman. Whether your teen daughter is playing matchmaker, you discover you're still in love with your ex, or you can't see love right in front of your face, the one thing all the stories have in common is that at least one of the main characters is a single parent. The beauty of this collection is that each story has a different voice because each is written by a different author. I like that! The stories are sweet, but predictable and superficial - a problem I have with most works of romance and why I am not a huge fan. However, if you are a fan of this genre, I would definitely recommend you give this book a try. They remind me of the popular romance movies on Hallmark or Lifetime. Perfect for the beach or when you're traveling, Second Chance For Love is available for Kindle and on Amazon. Yes, good for a light read.